For railway photography around Dorset, the surrounding counties, and beyond. What's New on Table 158 Photo﻿graphy? 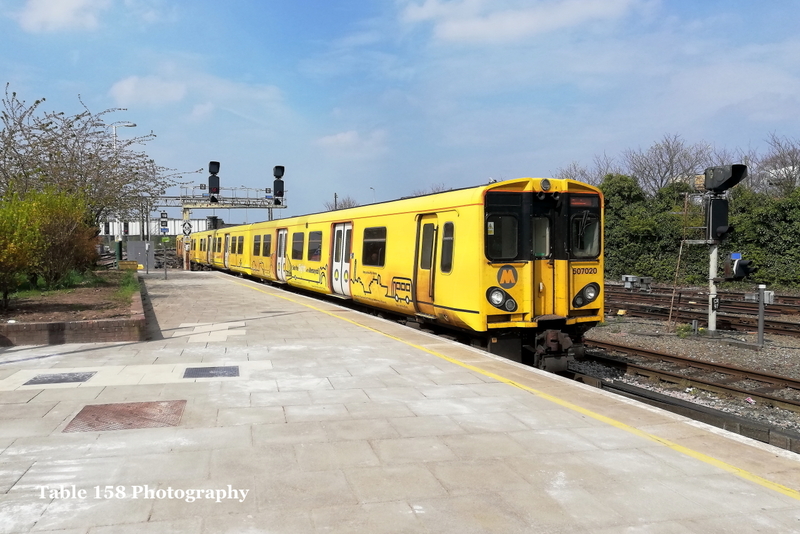 ​The Class 507 and 508 units on Merseyrail are now on borrowed time, with new Class 777 units on order from Stadler Rail and expected to come into service during 2019 to replace the aging Class 507 and 508 fleet, which have been in service since 1978. For now though it's business as usual as 507020 John Peel arrives at Chester operating 2C21 11:15 Chester - Liverpool Lime Street - Chester in a welcome burst of sunshine. To see an image at its best quality, I would recommend using the Google Chrome browser. Left click on the thumbnail and then left click again on the image. Press F11 on your computer / laptop for optimized full-sized viewing. All images are approximately 1280 x 852 pixels. I hope you enjoy the site and visit again from time to time. Click on the button below the thumbnail to take you to the collection. by an individual, or organisation, without prior consent.